Sometimes when parcels arrive the Mini Mes want to jump straight in and that was definitely the case with this set from Mattel. 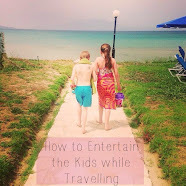 I've never seen them unpack their bags and get out of their school uniform so quickly to play! 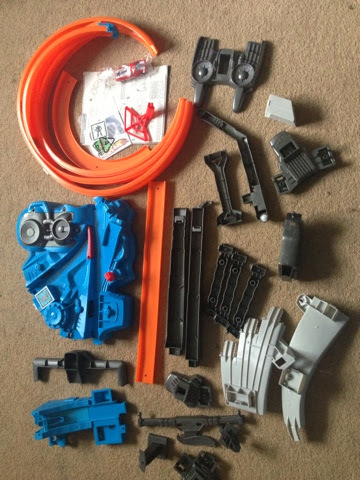 Although there are quite a few pieces included with the Hot Wheels Triple Track Twister, assembly takes just a few minutes and the instructions are very informative to make it an easy process. I was surprised by how big and impressive the set actually is and it's also quick to dismantle if you want to pop it back in the box for another day of play. 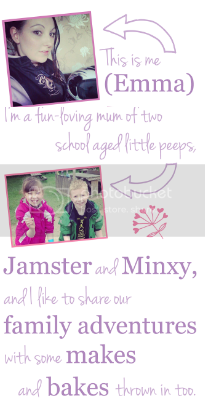 The set is suitable for children aged 5+ and is ideal for your little car fanatics, like Jamster. The cars travel at some seriously fast speeds and all three tracks merge into one for super fun crashing action! 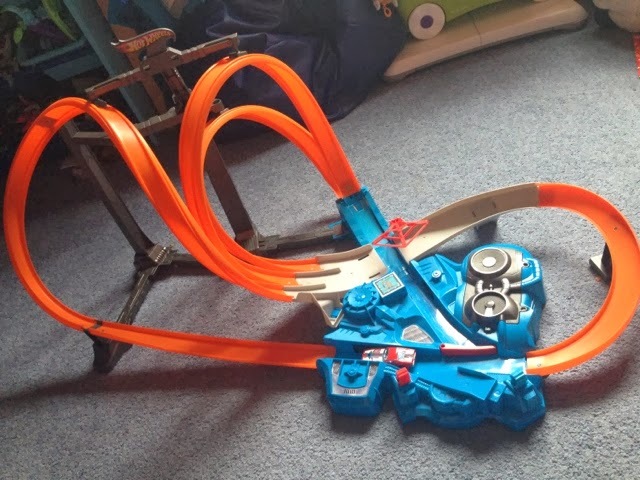 If you want to involve extra vehicles it is best to buy some in advance as your existing collection may not be compatible - they need to be a certain size and weight to stay on the track with the amazing twists and turns that go upside-down! Luckily, being big Hot Wheels fans, we have lots of suitable vehicles that work well so the smashing and bashing racing began. The diverters give you full control and you can flick them to alter the course of each vehicle sending them off around the tracks of different heights and shape - there is even a trap door you can activate! It was easy to use and I could leave the Mini Mes to play by themselves without any issues. There is the option to bring the track to life with glyph technology too. 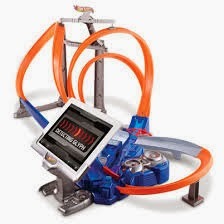 You can race through virtual worlds; Farm, Dinosaur, Robot Battle, Shark Park and Team Hot Wheels using the iPad stand supplied, the free downloadable Hot Wheels Power Port app and your own device. I didn't have an iPad at the time but that didn't affect the fun we had as a family. The RRP for this set is £44.99, which is quite expensive, but it has certainly kept the kids occupied and they have really enjoyed using it. It is quite noisy and you need to get your own batteries for it (4 x D) but seeing their faces light up with excitement as the cars collide is proof that is a great set. my son is only three but I know he would love that track he would love that track he is car mad! we could not get the grey pieces dismantled. but we had fun with it.